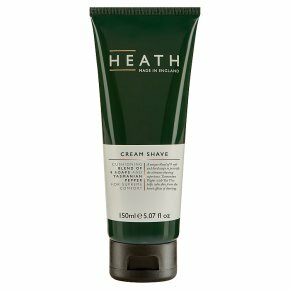 Free from sulfates.A unique and advanced blend of 9 soft and hard soaps to provide the ultimate shaving experience. Tasmanian Pepper with Tea Tree helps calm skin from the harsh effects of shaving. Fresh Lavender and Mint scent. Paraben and sulphate free. Made in England. Directions: Wet face with warm water. Massage into the stubble. Shave and rinse. WARNINGS: IN THE EVENT OF CONTACT WITH THE EYES, RINSE WITH CLEAN WATER.